The DeadlockGuard is available in five sizes, three keyways, five polyester powder coated architectural finishes and three polished and plated finishes. All Kickstop DeadlockGuards offer superior protection and resistance against kick-in attacks and forced entry. 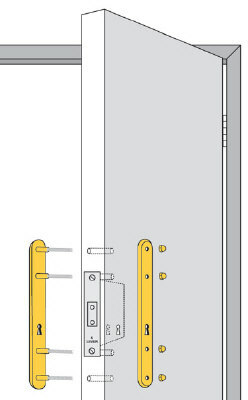 The 9601 is available in two widths and has four bolt through security fixings. 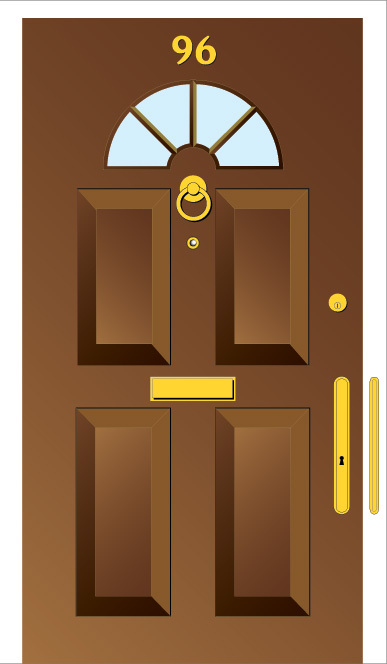 Because of its popularity as a high security product, the wider version, in the more common UK and Euro keyways, is available in more finishes. The slightly narrower version is perfect where a large door stop and draught excluder is fitted to a door with a 2 1/2" deadlock. It has two bolt through security fixings, it's the most popular DeadlockGuard and is available in more finishes. This has two bolt through security fixings and reversible plates that can very easily be removed, reversed and refitted at a future date to conceal any accidental scratches or other slight damage to the original finish.